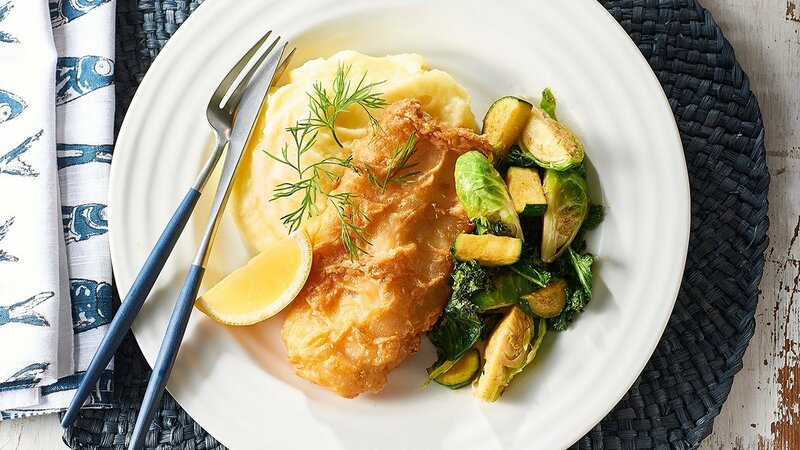 A healthier option to fish and chips, using battered hoki, mash and a mixture of green vegetables provides a balanced meal for your residents. In a pot - bring water and salt to the boil. Once boiled remove from heat and add in the milk and KNORR Potato Flakes GF. Whisk until combined, sit for two minutes and then whisk again. In a pan heat the butter and oil. Once hot, toss in the veg and sauté until just coloured or veg is soft. Season. Deep-fry the Hoki fillets until cooked and golden brown. Assemble the dish on a plate and add a wedge of lemon, side of HELLMANN'S Real Aioli Sauce and dill to garnish.